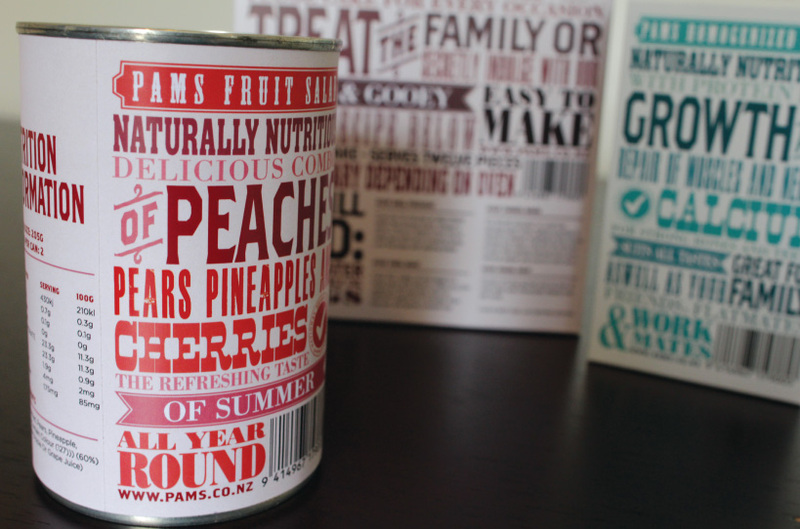 Description: The Pams range of products is New Zealand's largest food retailers with low prices aimed at the general public. Our brief was to recreate pams into a premium more quality and high priced range for a target audience with more disposable income. 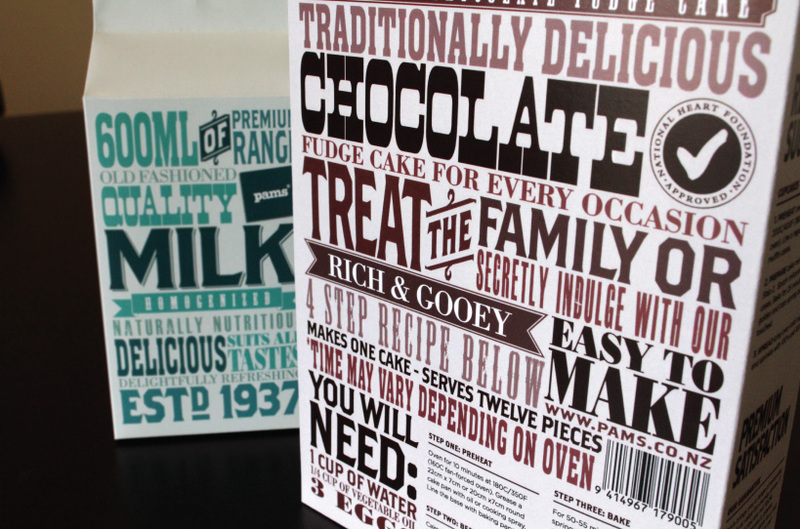 We were given specific information that was required to be on the packaging, but had creative freedom for the design. I took a strong typographic approach in a vintage / modern way using a range of vintage fonts and colour tones. I also used typical vintage banners and graphic elements to be coherent with this style. The text varies in colour and size to create hierarchy and a sense of direction to read the words as an appetizing sentence.